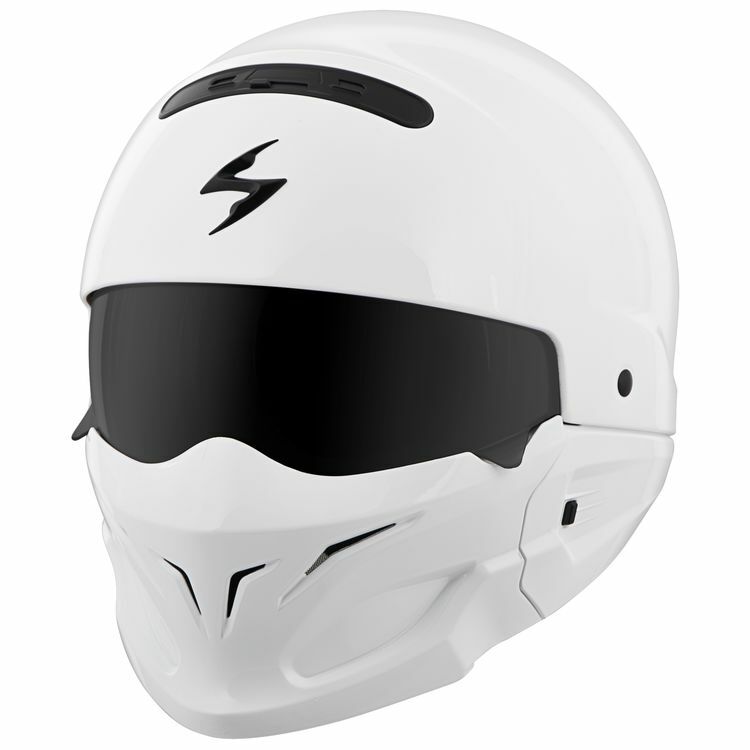 Perfect for storming the asphalt, the Scorpion White Covert Helmet is what you've been clamoring for. Overall the fit is great but when you ride the freeway it tends to be too loud. I attached my sena s10 and have been unable to hear any of the prompts when using the navigation. This is a good helmet! I have been wearing a 3/4 helmet since buying my Harley because my Wife often rides with me on her Harley. We have both tried half helmets but neither of us liked the bugs in the face and I definitely did not like the lift from going fast that I got with every half helmet I have owned. This helmet fulfills all my needs in one! I have worn it as a 3/4 helmet and a full helmet. At 3/4 the shield gives good wind and bug protection and my Wife and I can talk when we come to a stop. When riding alone on the back roads or freeway I use the full face protection. 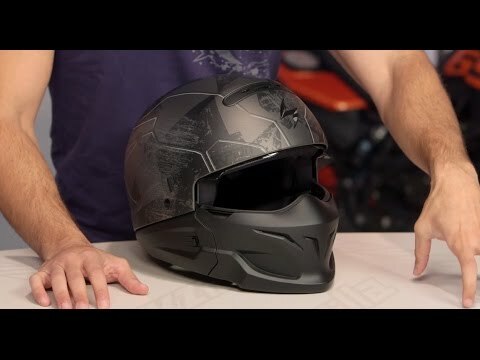 The only down side with this helmet is it is loud at speed and when in full face mode side vision is narrow but over all this is a great helmet! Awesome look. You'll get some head turns on the road. It's a basic helmet, with an awesome Storm Trooper look. Definitely bang for your buck getting that fun feel. The visor is slightly narrow top to bottom, but wide enough to get a good field of view. The road sound reduction is minimal, but wind noise is low. Good fit over my ears and nice padding on the forehead makes for a comfortable fit on my freeway commute. I don;t thing I wold recommend it for the racetrack, but I feel safe for everyday freeway riding. All in all, a fun helmet. what type of blue tooth communications is recommended. I have a Sena smh-5 and would like to use it? Can you put a sena in this helmet while fully asembled? BEST ANSWER: It's hard but the helmet is great but loud. Dont expect to hear music loudly. How hard is it to swap lenses?